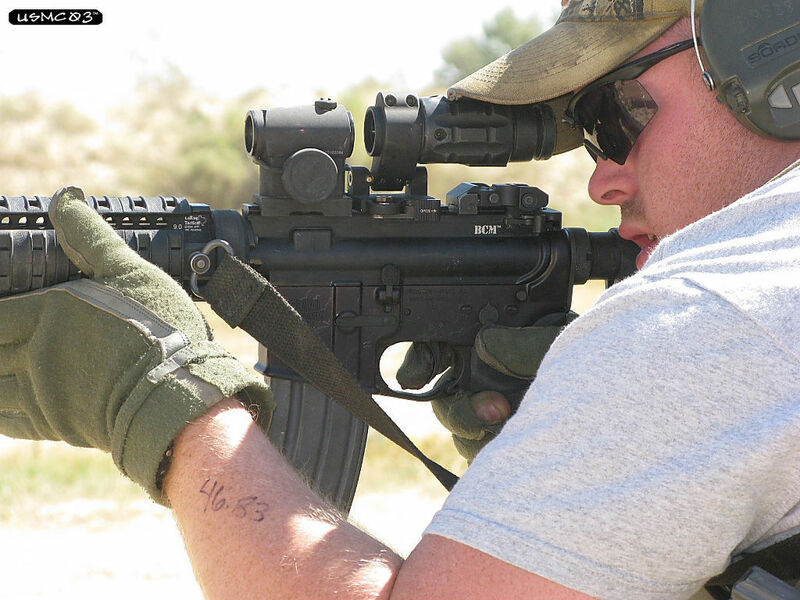 In February of 2008 I wrote a review on the Aimpoint 3x Magnifier. 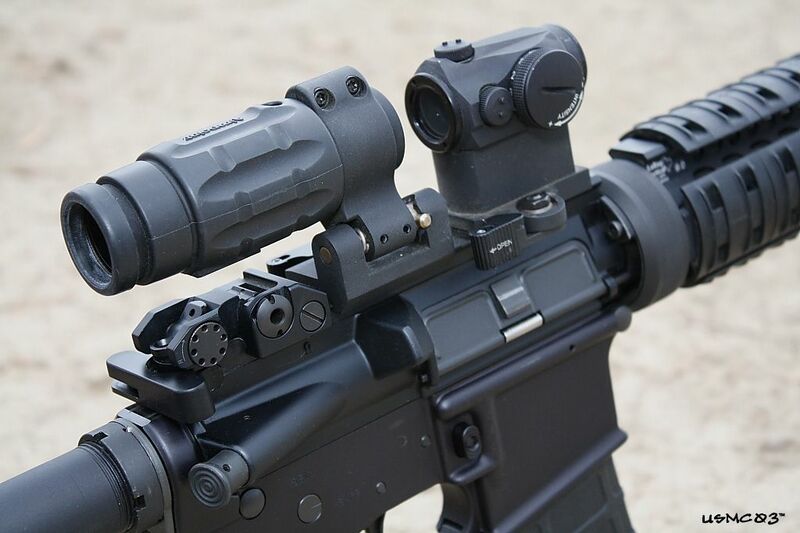 As a result of that review some shooters reported having no issues with the magnifier, while others reported having issues with the magnifier causing dot distortion, and one or two shooters even reported seeing two separate dots that were touching and looked like a figure 8. 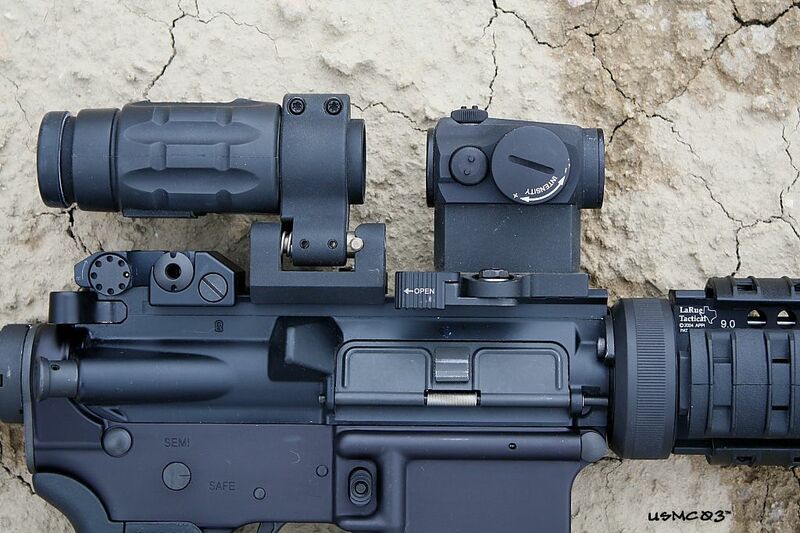 A couple months later I reported trying the Aimpoint 3x Magnifier with the ML2, ML3, Comp M4, M4S, and T1 Micro. Through trial and error I found that the closer you could get the 3x Magnifier to the Aimpoint the crisper the dot was, and the better the sight picture looked. I don't know why the sight picture looked better, it's something that I can't articulate. 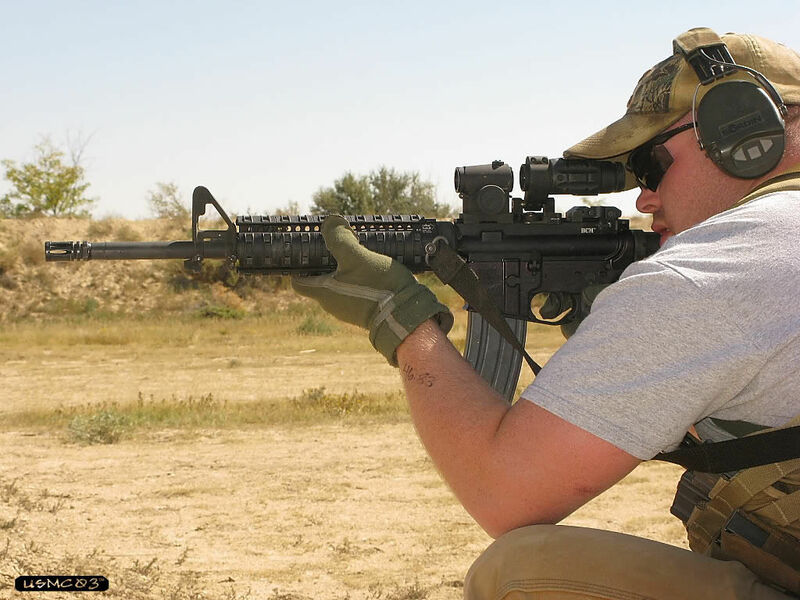 During this same time frame (April / May 2008) I had purchased several Aimpoint Micro T1 red dot sights and LaRue Tactical Aimpoint T1 mounts. 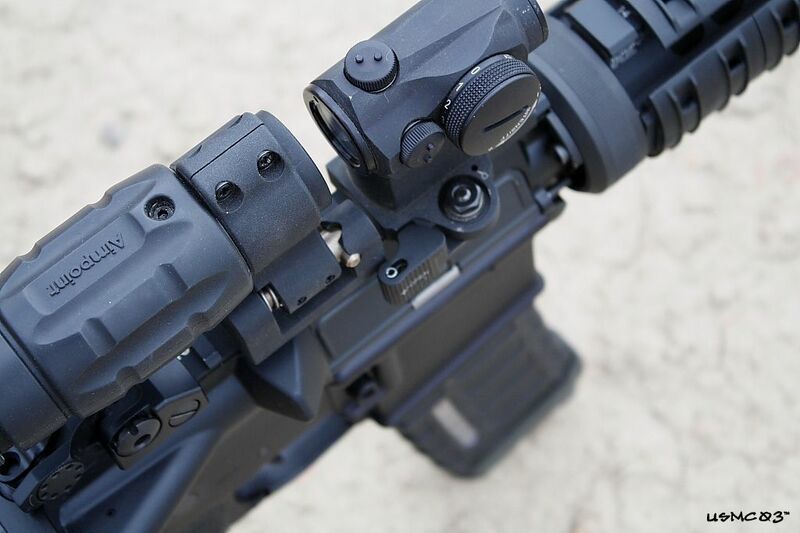 With the LaRue Tactical Aimpoint T1 mount, the throw lever is on the same side of the upper receiver as the ejection port (right side of the receiver), with the throw lever pointing to the rear. 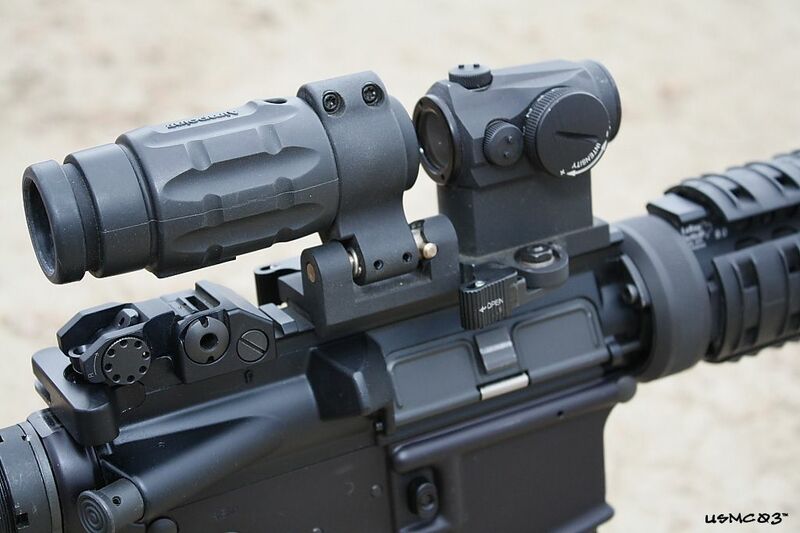 From past experience I knew it was the throw lever on the Aimpoint T1 mount that was interfering with getting the LaRue 3x Magnifier mount one space closer on the upper receiver to the Aimpoint Micro T1. While mounting a Aimpoint Micro T1 onto the LaRue Aimpoint T1 mount I decided to turn the LaRue Aimpoint T1 mount around 180 degrees so that the throw lever was on the left side of the upper receiver and pointing forward. 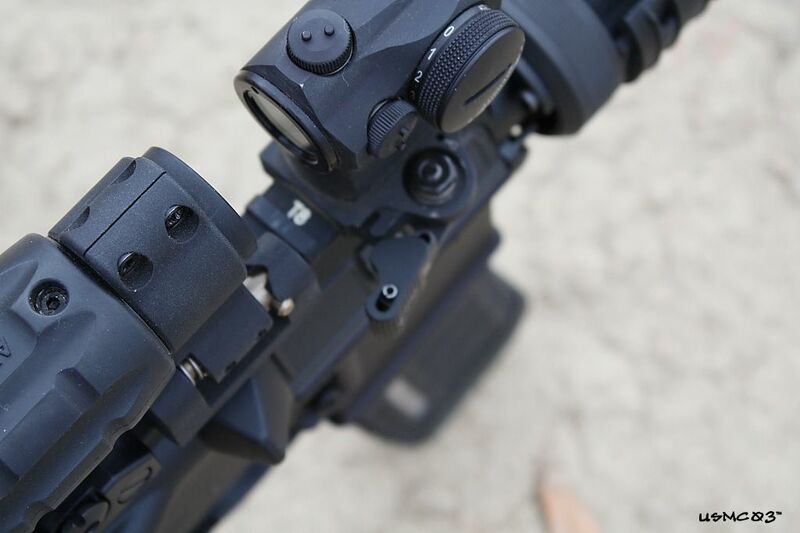 After attaching the Aimpoint Micro T1 to the LaRue mount and mounting the Aimpoint Micro T1 on the upper, I was able to get the Aimpoint 3x Magnifier butted up against the T1. Thus making the dot crisper and providing a better sight picture. I posted this info on the original review on another board over a year ago. 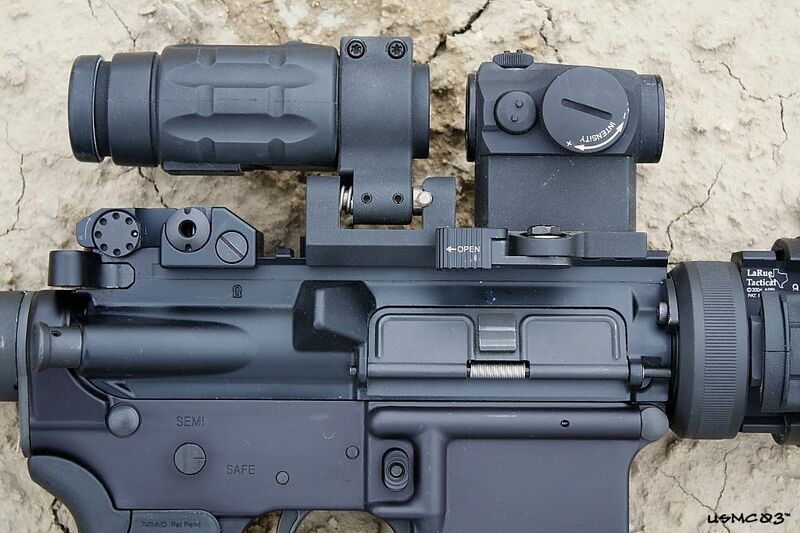 What follows is another technique I figured out (in May / June of 2008) for getting the Aimpoint 3x Magnifier one spot closer to the Micro T1 when using LaRue mounts for both the 3x Magnifier and the T1. 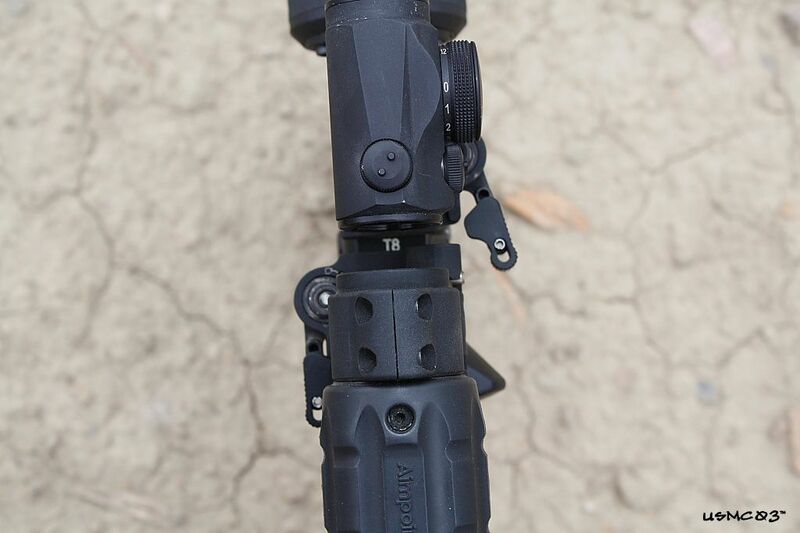 This is a technique that can be used easily and quickly in the field, and works even if you have your LaRue mount tightened to the point where you can't get the mount off the receiver. 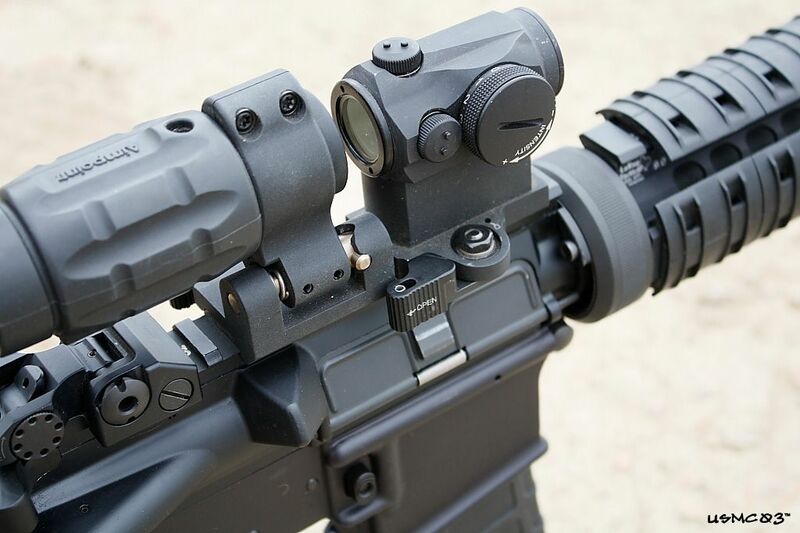 The throw lever only needs to be opened just enough to allow the 3x Magnifier to be mounted on the rail. 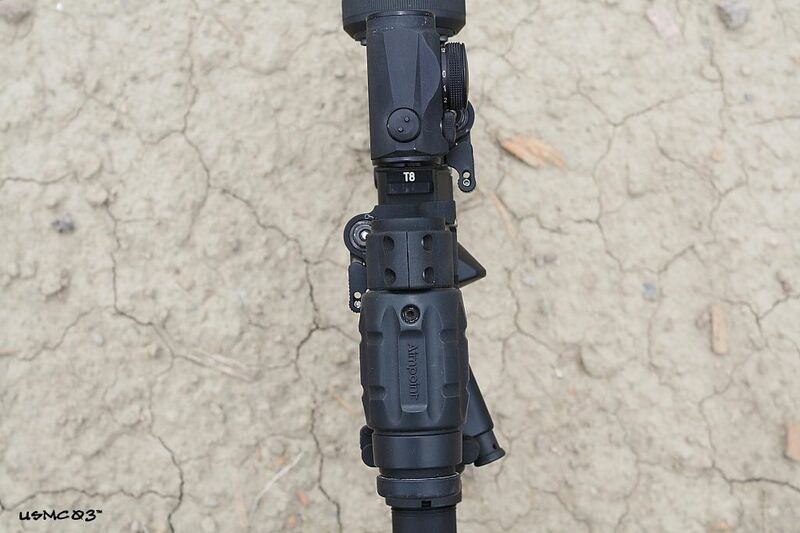 Quick, simple, easy, and doesn't require remounting the optic. Putting the 3x Magnifier in this position also provides a much more natural head position for me, with the 3x Magnifier one space to the rear, I would have to move my head back on the stock in order to get proper eye relief.